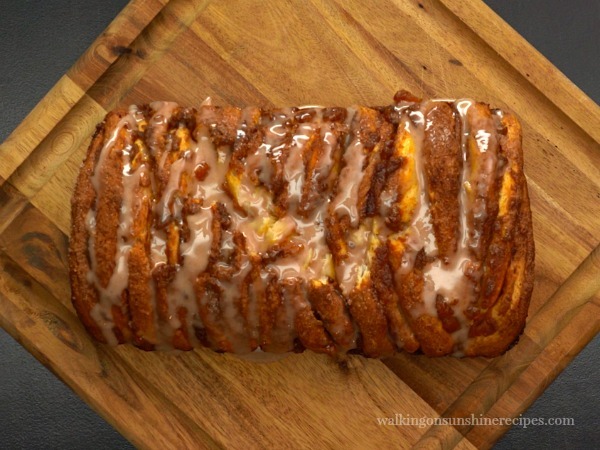 You won’t be able to resist this Scrumptious Pumpkin Spice Pull-Apart Bread this Fall! 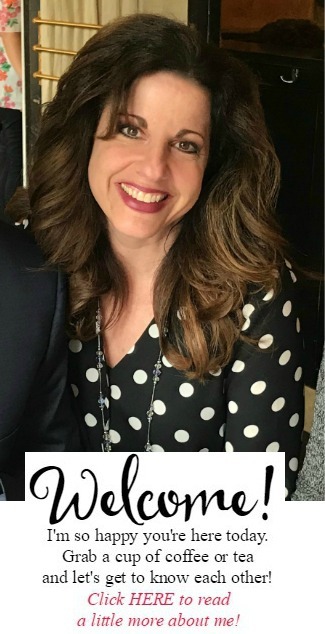 I think our lives are so busy that some days we just don’t have the time to put together something delicious for our families and we resort to picking something at the grocery store or stopping at a fast food restaurant. 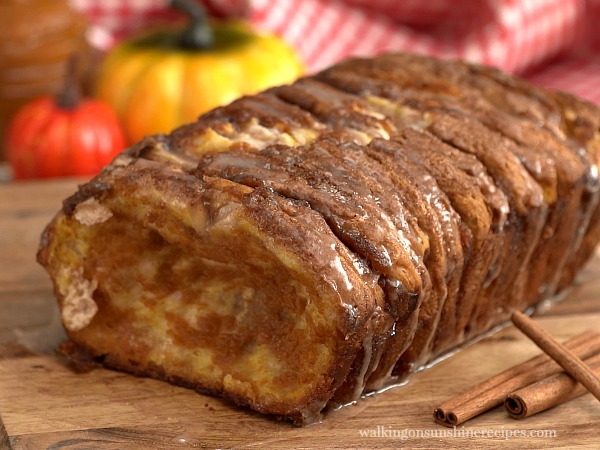 Which is why I love this recipe for Pumpkin Spice Pull Apart Bread that I’m sharing with you today. It’s easy…it’s delicious…and your family is going to love it. This pull apart bread is so easy to bake using refrigerated biscuit dough and pumpkin pie filling. Let this be the very first pumpkin recipe you make now that Fall is here! Make sure you take a look at the video below before you print the recipe. I never knew how easy it was to get the layers of a pull-apart bread like this until I tried this recipe! 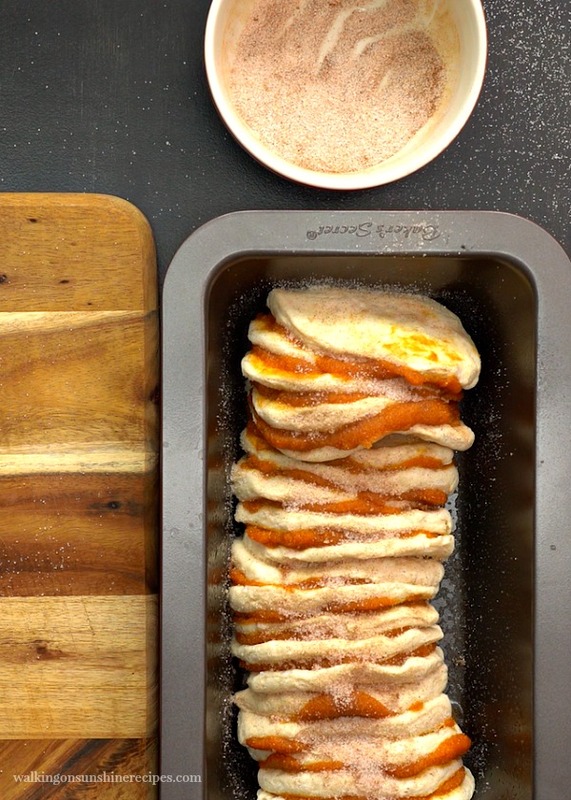 Stack the biscuits in a loaf pan that have the delicious pumpkin pie filling spread in between each layer. Don’t forget an extra sprinkle of the pumpkin spice/sugar mixture on top! Let the bread cool slightly before adding the delicious glaze! To serve, just start pulling the layers apart and enjoy! 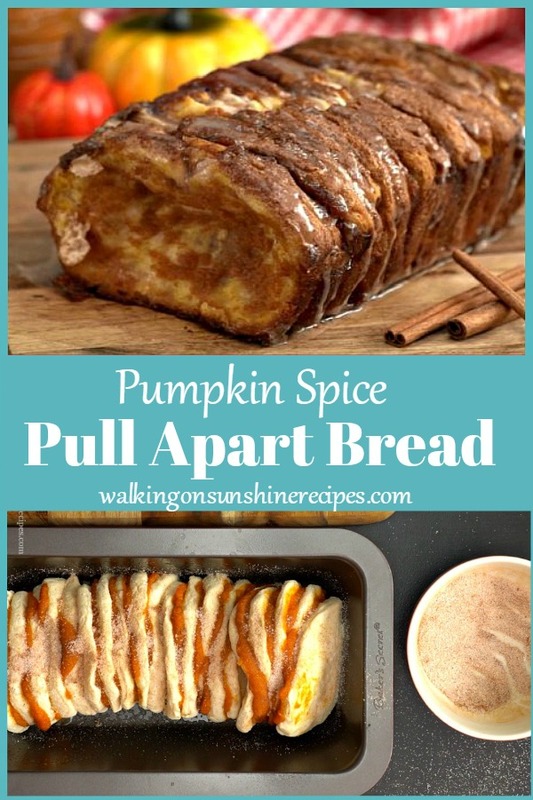 You are not only going to love how delicious this Pumpkin Spice Pull-Apart Bread is but you're also going to love how easy it is to make! 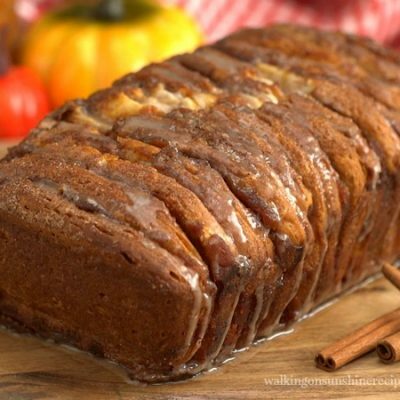 Prepare a loaf pan with nonstick spray. Separate dough into individual biscuits. Flatten out biscuits, then spread about 1 tablespoon pumpkin pie mix on top of each. Sprinkle each biscuit with pumpkin spice-sugar mixture, then continue layering until you have 4 piles of 5 biscuits. Bake 40-45 minutes, or until biscuits are baked through, and the loaf is deep golden brown. Cool in pan 10 minutes, then turn loaf out of the pan onto a plate or cutting board to serve. Drizzle evenly over the warm loaf, then serve immediately. 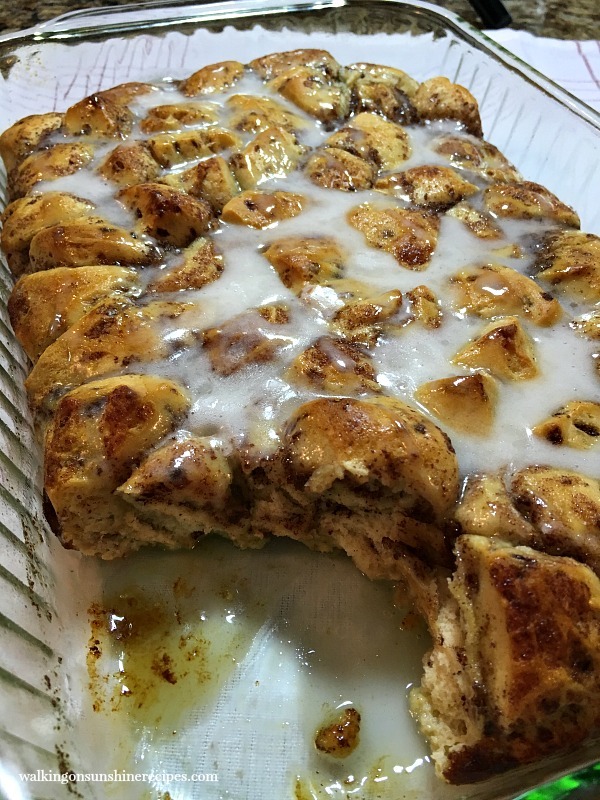 If you love EASY recipes, you’re going to love this recipe for Cinnamon Roll Breakfast Casserole. 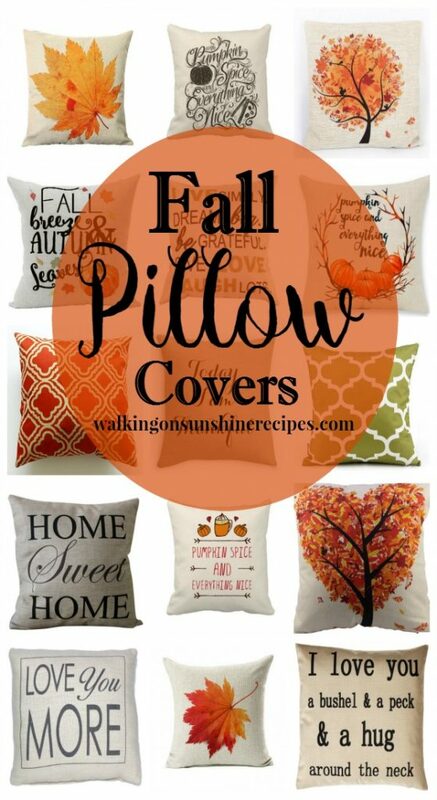 Fall Pillow Covers – Easy and Fun way to decorate for Fall in your home! This looks amazing! Can't wait to try it. 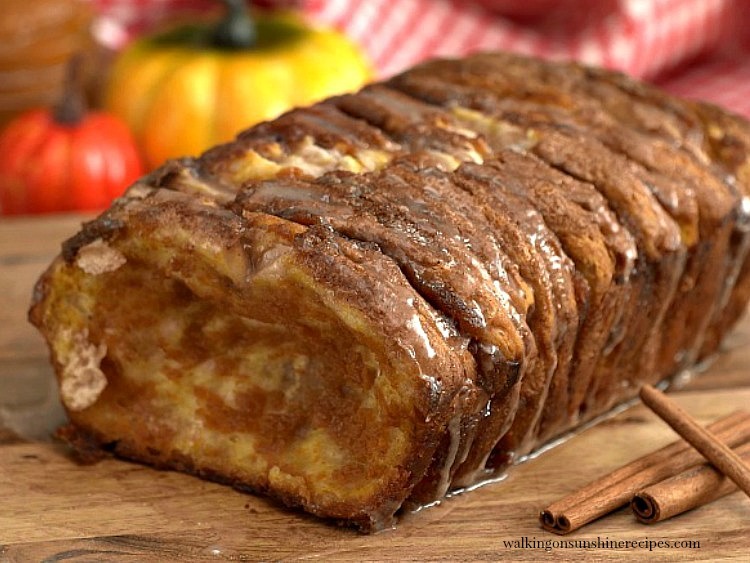 Thanks for linking up with Merry Monday – I'll be featuring your pull-apart bread at our upcoming party. Hope you'll link up again! 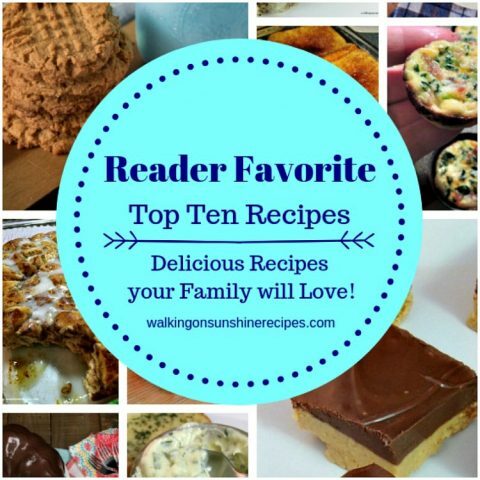 Nothing is better than easy and delicious recipes and this one is both! I'll be making these soon! #merrymonday Sharing on my FB page this week. This bread looks amazing, I wish I had some now with my coffee. I’ll be featuring this tonight at Merry Monday.